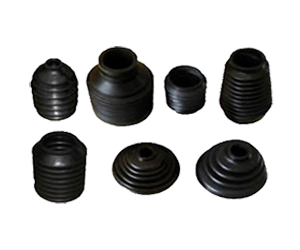 Rubber Bellows product Manufacturer, Rubber Bellows Manufacturer in Pune. A bellows or pair of bellows is a device constructed to furnish a strong blast of air. The simplest type consists of a flexible bag comprising a pair of rigid boards with handles joined by flexible leather sides enclosing an approximately airtight cavity which can be expanded and contracted by operating the handles. We are manufacturing a wide range of Rubber Bellows custom model products according to customer specification. we use only the finest quality of raw materials to create a quality of Product.